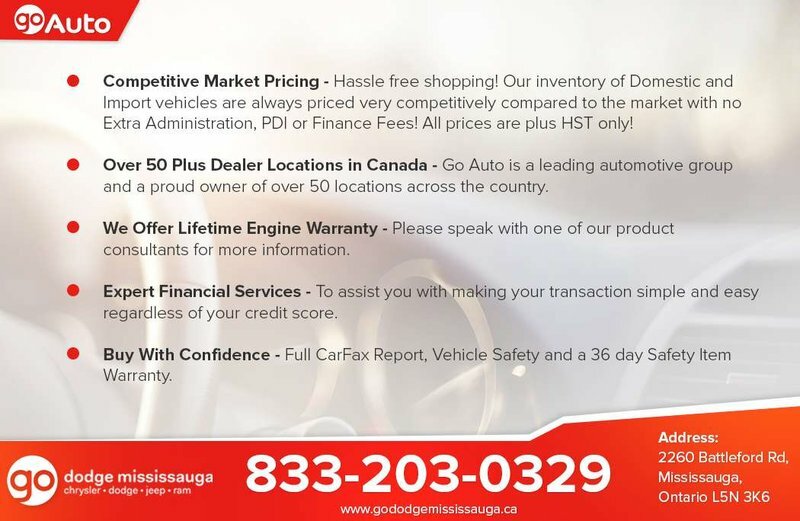 Why Buy from Go Auto Mississauga Chrysler .. 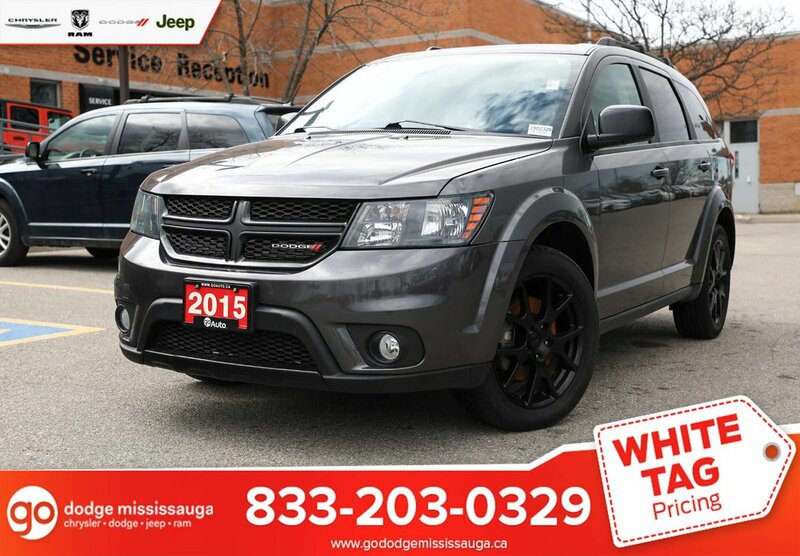 Aggressive Market Pricing, we WANT your Vehicle even if you dont BUY. We BUY All Makes and Models. All-inclusive, NO FEES, Lifetime Engine Warranty* and we give you the best value in the Planet. HAGGLE FREE, we want you to invest your Time with us, not waste it Haggling. You can be confident that you are getting the best value for your vehicle from the start. We believe consumers are asking for more transparency and Its important that we demonstrate that to you from the beginning. Huge inventory selection of all Makes and Models. 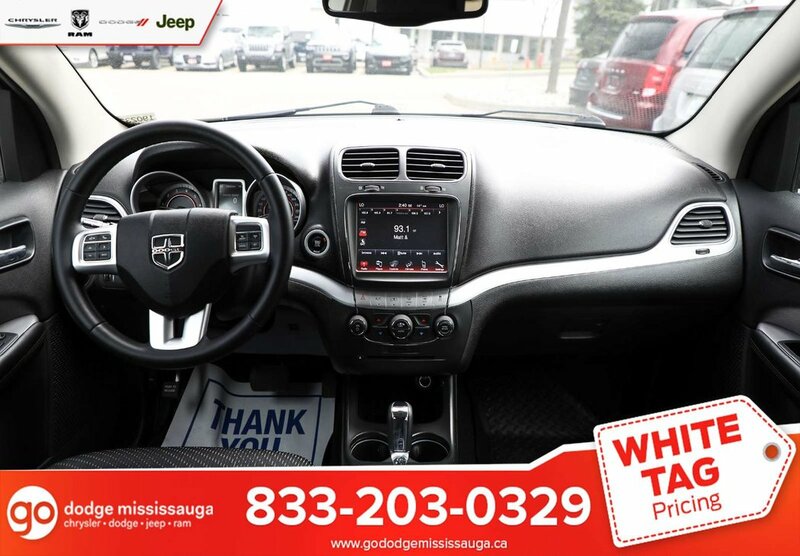 Proudly serving the GTA and Surrounding areas including: Peel, York, Durham, Halton, Niagara region, Mississauga, Etobicoke, Brampton, Scarborough, North York, Whitby, Oshawa, Ajax, Pickering, Markham, Vaughan, Caledon, Orangeville, Brampton, Halton Hills, Guelph, Milton, Oakville, Burlington, Hamilton, Brantford, Hamilton, St. Catharines, Niagara Falls, Cayuga, Brantford, Woodstock, Cambridge, Kitchener, Guelph, Haldimand, Kingston, Ottawa, Montreal, London and Barrie. ***While every effort is made to ensure the accuracy of the information contained in this advertisement, we are not responsible for any errors or omissions contained on these pages. *Lifetime Engine Warranty applies to vehicles under 160,000 km’s and not older than 7 years.